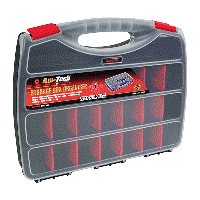 Plastic toolboxes are great for storing lightweight tools such as drivers, electric cutters and pliers. 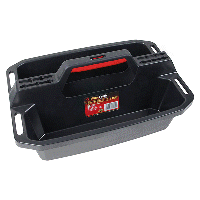 Perfect for professionals and hobbyists alike, find your next plastic toolbox at Euro Car Parts today. 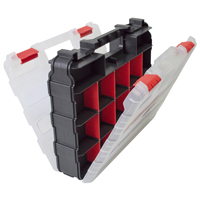 When it comes to buying a more affordable, lighter toolbox, you’ll be hard-pressed to find a better option than a plastic storage solution. 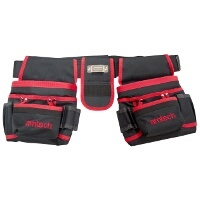 Weatherproof and durable, these toolboxes are perfect for keeping your tools safe, dry and in tip-top condition. 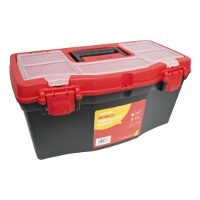 As well as storing tools, plastic toolboxes have plenty of other uses too.They can be used to store electrical components, such as connectors and wires, and are equally suited to storing smaller pieces of kit, such as soldering irons or circuit testers. 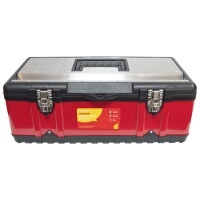 While bulkier metal toolboxes take care of your larger tools, such as spanners, sockets and wrenches, invest in a plastic toolbox to cater for those smaller, everyday items that need to be kept clean and tidy. 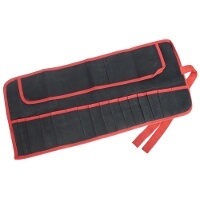 Free UK delivery is available across the range and returns are available up to 365 days. Should you have any questions about your order, don’t hesitate to call our team of trained professionals on 0203 788 7842.